I have a Fine Art degree and a PGCE in Art & Design. My love of surface texture unfolded whilst making sculptural installations during my degree course, using mod roc, paint and mirror mosaic sculpted around 3D surfaces. 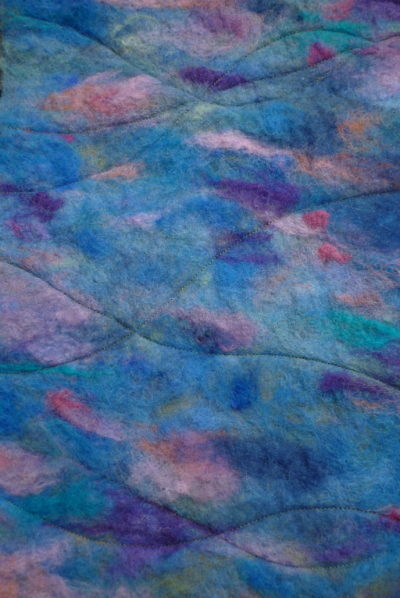 My work has since evolved to take on an experimental textural approach to 2D surfaces too, including feltmaking and collage, both of which I see as an unfolding journey of discovery. 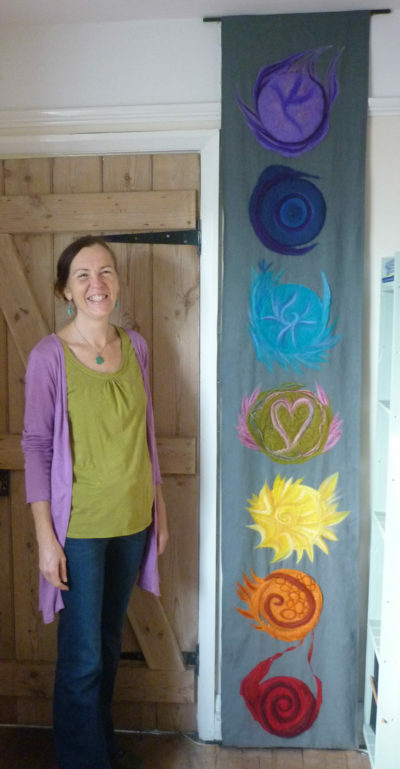 I run collage making workshops and this year I am adding felt making to my teaching plans. 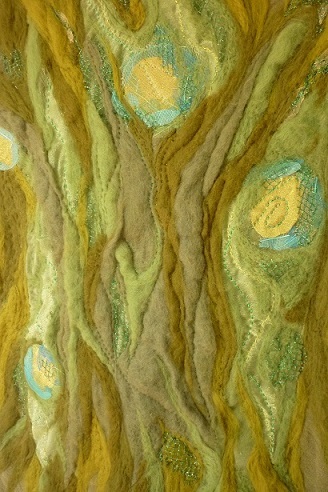 I have made a series of felt wall hangings, incorporating wet and dry felted approaches combined. They include mixed media such as wire, netting & beads, hand and machine stitch. I'm keen to start experimenting with 3D feltmaking too.